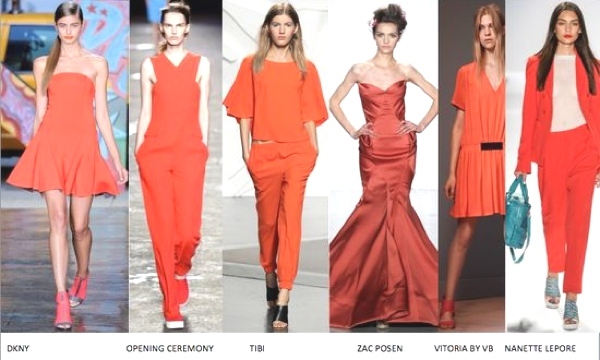 I got the message from the New York Fashion Week Spring-Summer 2014 loud and clear, orange is the new black and shirtdress is trendy and chic. Prabal Gurung had the most amazing white midi shirtdress and Opening Ceremony 2014 collection my favorite orange jumpsuit. Michael Kors orange poplin shirtdress super expensive super cute..
Red is wonderful and that is a super fabulous dress! Beauty Nail … Fantasy !! !